The new cards for The Grand Tournament expansion coming to Hearthstone are rolling out quick, so let’s waste no time in taking an in-depth look at ten more cards, including some of the new Shaman and Hunter cards being added to the game. The obvious point of comparison for Draenei Totemcarver is the Frostwolf Warlord. 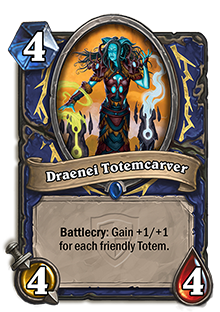 In the worst case scenario of having to play on an empty board, Totemcarver is better as you have to dedicate less mana to a 4/4. The downside is that she’ll only grow based on how many totems you have, so it’s more likely that she’ll end up as a 4/4. 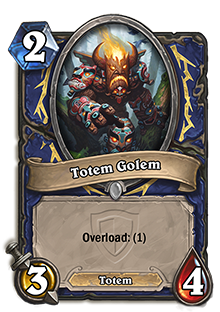 Even with all of the totem synergy cards being added, I can’t help but feel skeptical that they’ll ever be prevalent enough to attract players to this card. 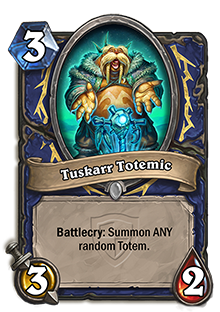 Still, even a single totem will make this worth more than the mana you’re putting into it, and it’s not like Shaman has a hard time coming up with them. 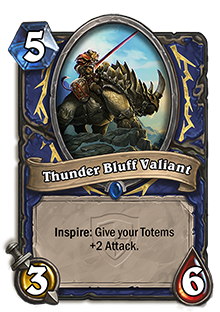 Being a 3/6 for 5, Thunder Bluff Valiant has decent stats, but it’s his inspire effect that makes him incredibly strong. The biggest weakness of most totems is that they have no attack power and have to act more as utility tools rather than minions in their own right. Your opponent will have a decent chance at shutting him down, but he can quickly seal the game in your favor should he last. It’s worth noting that he’ll buff the totem that spawn with your hero power as well as any you already have on the field, so you’re bound to get something good from him every time. The buffs also attach directly to the totems, so you won’t lost them once Valiant falls. Even if you’re not running a totem-focused deck, this is still a card that can serve you well. 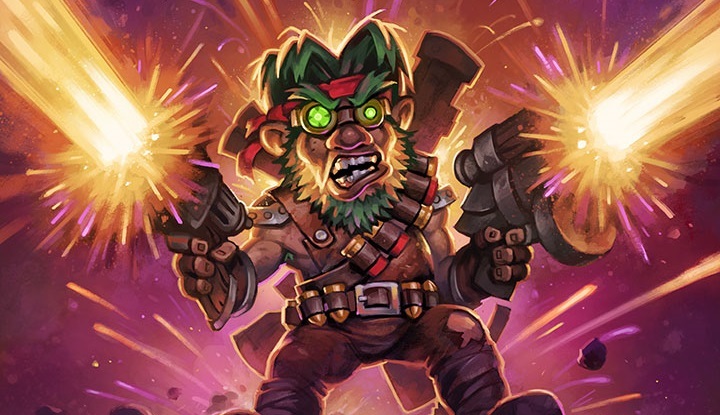 Ever since Starving Buzzard was nerfed to oblivion, Hunter has been lacking a reliable draw engine and its options have been limited as a result. However, Hunter is still one of, if not the, strongest class in the current meta game and handing out a generally good draw engine would only make it more powerful. 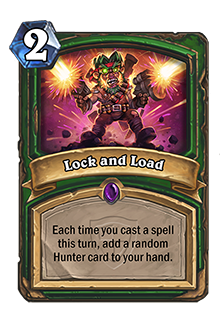 Lock and Load hopes to hit that sweet spot of enabling new Hunter strategies without playing even more into the high aggression playstyle. It’s a curious spell as it actually does nothing on its own; you have to combo it with at least one other spell to have any kind of effect. If you save up a lot of spells for a late-game combo, you can easily come out of it with a fresh hand still intact. However, think about the kind of deck you’d have to run to make that kind of strategy viable. Plus, you never know what you’ll get out of Lock and Load. It may be a spell that you can easily extend your combo with like Arcane Shot, or you end up with Houndmaster or King of Beasts for a deck that has only a few beasts. Not only will you need a supply of cheap spells to chain with, you’ll also want to tailor your deck to work with every Hunter card to some degree. It’s a very niche card and it’s hard to imagine where exactly it will find its place. 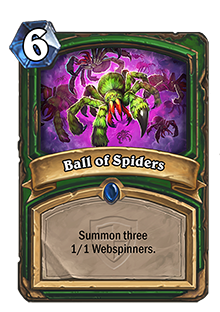 For as intimidating as throwing a cluster of live spiders at your enemies sounds, Ball of Spiders isn’t making a strong first impression on people. The effect is useful enough as Webspinner has proven itself to be a very useful minion that keeps you supplied on beasts. Getting three of these out of a single card should be a great deal. The problem is that the mana cost is far greater than the board presence you’ll get out of it. Yes, you’ll get more cards out of it, but you’ll still need to pay the individual mana costs of each of those cards and you may have seriously fallen behind on tempo by that point. Honestly, it looks like this is being added more as a counterpoint to Lock and Load than something intended to be played on its own. This one needs some correction as this card was shown on a previous article, but it turns out it wasn’t a proper representation of the card. 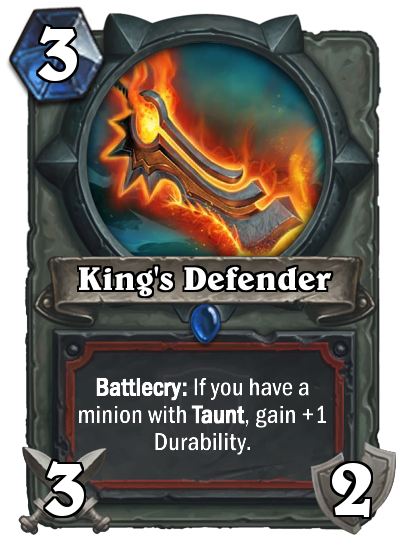 That version was based on a mistranslation that claimed that King’s Defender could gain durability for every minion with taunt you control while equipping it. As it turns out, it can only gain a maximum of one extra durability if you have any taunt minions. It’s certainly a letdown, but it still has potential in certain situations. While it won’t be pulling Warrior out of its current rut with Arena, a weapon that can potentially trade three for one is still a pretty good deal. Taunt is something that appears in almost every deck, but having it out early enough and surviving to then play this on curve is another story. It does work really well with Annoy-o-Tron, but having both of them is something you can only really count on in constructed where there’s really no reason to use this went you’ve already got Fiery War Axe at your disposal. 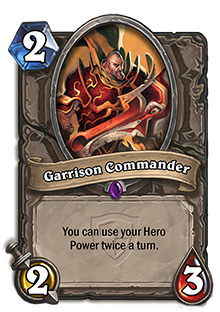 The ability to reuse your hero power several times a single turn was too good of an effect to reserve for Mages alone given the introduction of inspire effects, so it’s good to see that Garrison Commander is bringing it to every class. Granted, his effect is a lot more limited than the Coldarra Drake, but that’s just the kind of concession you have to make with neutral cards. While you typically want a 3/2 on turn 2 that can trade up on most 3 drops, a 2/3 is still a fair stat line that can give you enough longevity from this card for it to make a significant impact. This is definitely worth picking up for almost any deck. On the one hand, there aren’t many good 5 drops in the game and Clockwork Knight looks like a great option for mech decks. On the other hand, the good 5 drops we do already have are extremely good. Azure Drake, Sludge Belcher, Antique Healbot, and Loatheb all make for stiff competition for turn 5. 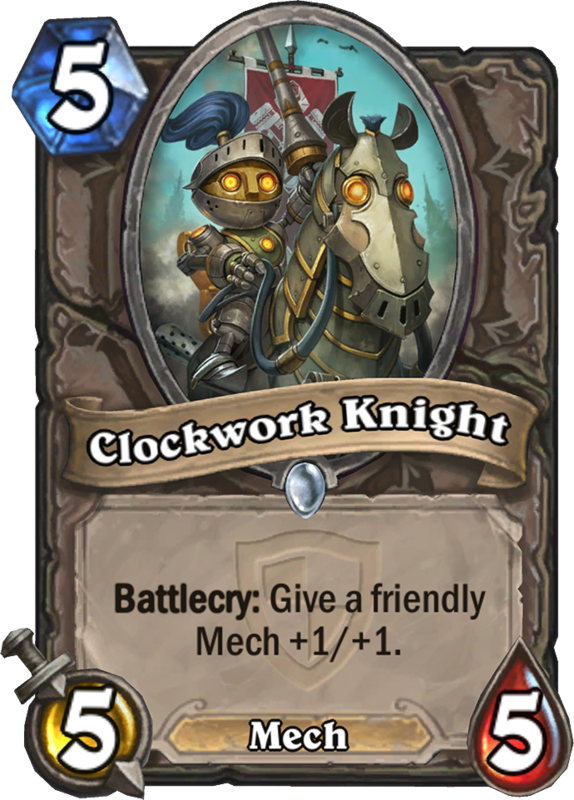 However, none of are perfect fits for mech decks and Clockwork Knight can still find his place in the meta game. It’s just a matter of seeing if people are willing to give up the utility of those cards for a deck that fully dedicates itself to mech synergy. 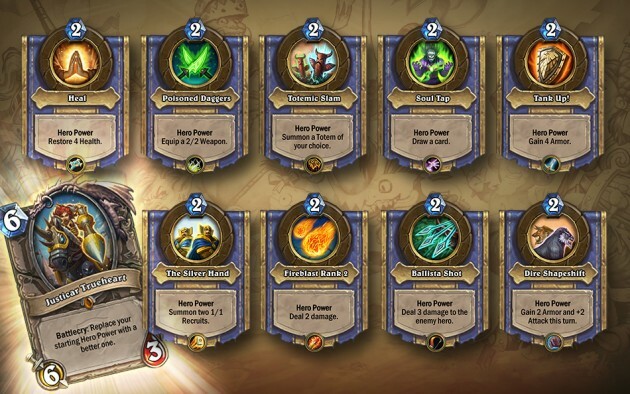 Note that she won’t be able to upgrade your hero power a second time, and she won’t effect special hero powers like those given by Jaraxxus or Majordomo Executus. Only starting hero powers can be changed by her. Still, essentially doubling the effect of your power is incredibly potent and there couldn’t be a better time for this effect to be introduced. Warlock may be the one to gain the most as easy card draw is an incredibly power effect. Shaman will also benefit greatly as its greatest weakness is the randomness of its hero power. Getting the totem you need on command is going to be extremely powerful. Mage, Paladin, and Warrior only need their powers doubled for this to be useful, and Priest can follow up with Auchenai Soulpriest to become a living nuke. However, the last three classes may not get enough out of it. Druids only use their hero power as a last resort and doubling it isn’t going to change much. Hunter already has a perfect storm of aggression and Trueheart would, ironically, only slow that down. Finally, Rogue is getting it the worst with a single, underwhelming attack point to the daggers. Given the fact that Rogue already has spells like Deadly Poison and alternate weapons like Assassin’s Blade, investing a 6 drop to improve the standard dagger just seems redundant. 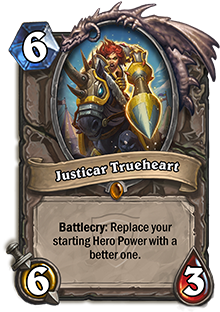 Still, the potency that Trueheart has for so many decks makes her the first must-have legendary of the next expansion. Unless something even better is revealed, this should be the first TGT card that you craft.